From the moment the first baby tooth makes its appearance in that cute little smile until it’s time to think about leaving the nest, your child’s developing smile deserves special attention. 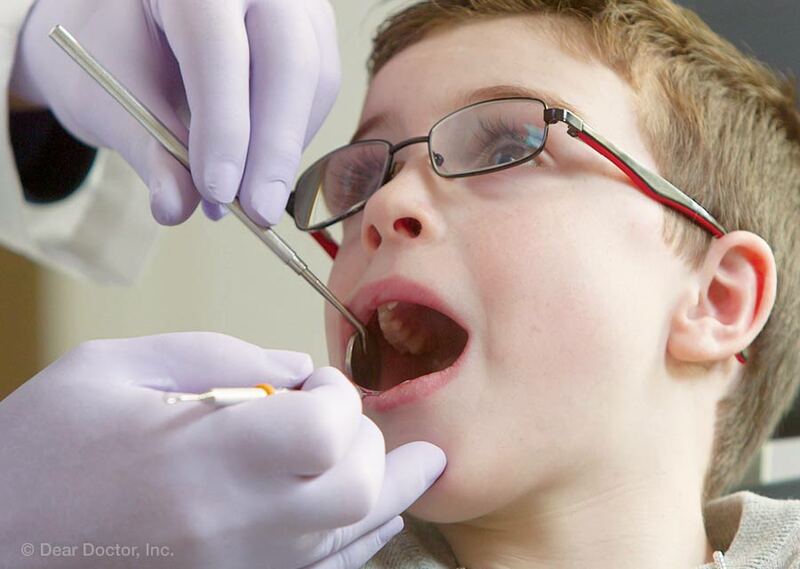 That’s the focus of pediatric dentistry: making sure children’s teeth get the care they need, at the time they need it. There are many ways children can benefit from proper dental care throughout their growing years. Let’s highlight a few of the major milestones along the way. Generally, baby teeth start appearing between the ages of 6 and 9 months. As soon as they’re visible, you should begin taking care of them. Wipe teeth and gums gently after feedings with a clean, damp washcloth. When teeth have grown in a little more, they can be brushed twice a day with a small, soft toothbrush and a tiny smear of fluoride toothpaste, about the size of a grain of rice. When your little one turns one year old, it’s time for the first visit to the dentist! This initial visit can help set a child up for a lifetime of good oral health by giving kids a chance to get used to the new sights and sounds of the dental office. The first visit also provides an opportunity to identify any potential problems related to dental development or oral health. For example, did you know that even babies can develop tooth decay? That’s why they should never be put to sleep with a bottle of formula, milk, juice — or anything except water. If allowed to pool around the teeth, the sugar in these beverages can feed the harmful bacteria that cause cavities. When children turn 3, the amount of toothpaste can be increased to a small dab, about the size of a pea, and you can begin teaching your child how to brush his or her own teeth: First, demonstrate the right way to brush, and then take turns. At around 6 or so, many youngsters can handle brushing on their own — with some supervision from mom and dad. During the years you are instructing your child, don’t hesitate to ask your dentist if you need to “brush up” on technique yourself. It’s important to bring children in for regular checkups at this age. Not only can tooth decay or other problems be found and treated — but in many cases, these problems can be prevented. Topical fluoride treatments can be given to strengthen the tooth enamel and make it more resistant to decay. And if deep grooves in the back teeth make it difficult to keep them clean, dental sealants may be recommended to keep your child cavity-free. Baby teeth, like childhood, may seem to be passing all too quickly. But even though they will eventually be lost, caring for those primary teeth is very important. For one thing, they enable proper eating, speech and social development during a good part of childhood. What’s more, each one holds a place for the permanent tooth that will replace it — and if it’s lost too early, a child could develop bite problems. At about age 6, it’s time for the primary teeth to start being shed, and for the permanent teeth to start appearing. This process often continues through the age of 12 or 13. Routine dental exams and professional cleanings should be a regular item on your busy schedule by now. Is it possible your child may need braces? Around age 7, it will be time to check. Although braces themselves usually aren’t put on until all the permanent teeth have come in, an early evaluation can identify kids who could benefit from interceptive orthodontics — that is, the use of devices that work in conjunction with natural growth processes in the mouth to make orthodontic treatment quicker and more effective. The teen years can be a time of big challenges and major changes. Lots of kids are having orthodontic work around this time — and many who wear braces need a little extra encouragement to clean their teeth properly, and to wear their elastics and retainers regularly. Professional teeth cleanings are a must around this time, since kids are often on the go so much that they don’t always eat the way they should. Avoiding a diet with too much sugar is a big concern at any age… as is learning to manage stress. Try to provide plenty of healthy snacks. If sports are important to your family, consider getting custom-made mouthguards for your kids (and yourself!) These small oral appliances are comfortable to wear, and provide the maximum protection against painful (and costly) dental injuries. With everything modern dentistry has to offer, it’s possible for more people than ever to enjoy good checkups and healthy smiles throughout their lives. That’s why it’s so important to help your child get off to a good start.